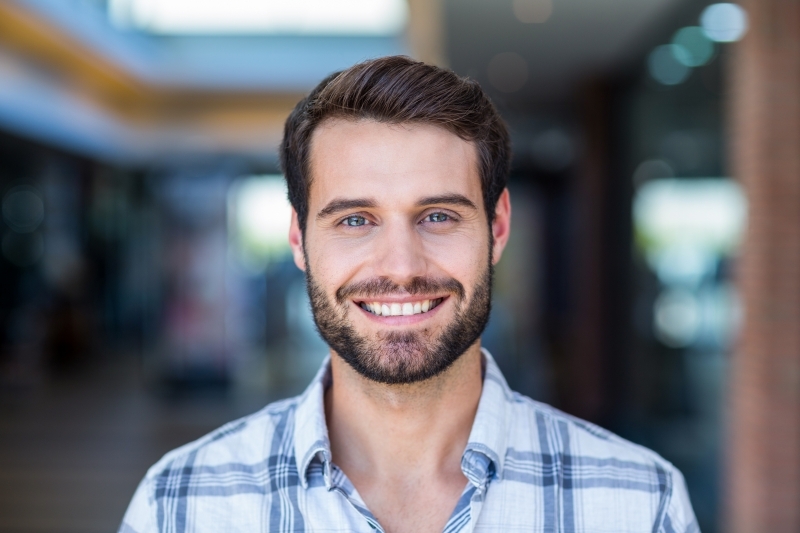 If you are wondering if teeth whitening is safe, our Lethbridge dentists provide some answers here to put your concerns to rest. Over time, teeth can become stained or discoloured for a number of reasons, from life style choices and eating habits, to damage, decay, and even as a result of taking certain medications. If you would like to lighten the colour of your teeth, teeth whitening is a minimally invasive, safe and effective treatment option. There are a few different options to choose from. You can visit your dentist for professional whitening treatments, or try over-the-counter whitening products from your local pharmacy. Professional bleaching administered by your dentist at your dental office over a series of visits. Professional bleaching dispensed by your dentist, with instructions, for you to use at home. Teeth whitening obtained over the counter without the oversight of your dentist. While there may be some side effects associated with teeth whitening, they are mostly minor and temporary. Most conventional whitening treatments are safe to use provided you use them as prescribed by your dentist, or as outlined in the package instructions. The benefits of professional teeth whitening are that it is overseen by a dental professional, and therefore any issues that might arise can be identified and dealt with before they become serious. Dentists can use teeth whitening formulations that are stronger, and therefore typically more effective, than products you can buy at the pharmacy. This means that you may need fewer treatments to achieve the effect you desire. You can damage your teeth if you whiten them on a continuous or permanent basis, so be sure to talk to your dentist about how many treatments you need, and what frequency is safe. Talk to your dentist about how to coordinate the colour of your teeth with existing dental restorations like implants, crowns, bridges, or dentures. Finally, teeth whitening may damage your teeth if you have active cavities or certain dental work in progress. Following your teeth whitening session, your teeth may become more sensitive, but this will diminish over time. To treat the sensitivity, your dentist may suggest products that contain potassium nitrate and sodium fluoride gel. The whitening solution may also irritate your gums temporarily if it comes into contact with them. This side effect is also temporary, and should fade away shortly after your treatment is complete. To find out if teeth whitening is right for you, please contact our Lethbridge dentists to book a consultation! 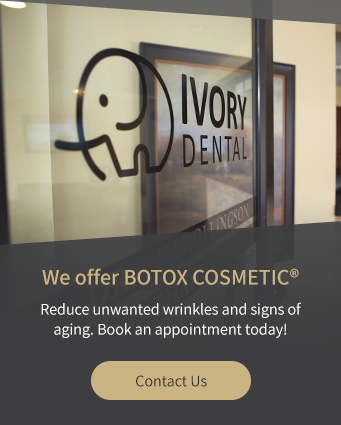 We are always accepting new patients at Ivory Dental! If you're in the West Lethbridge area, we invite you to visit our office. We can't wait to meet you!